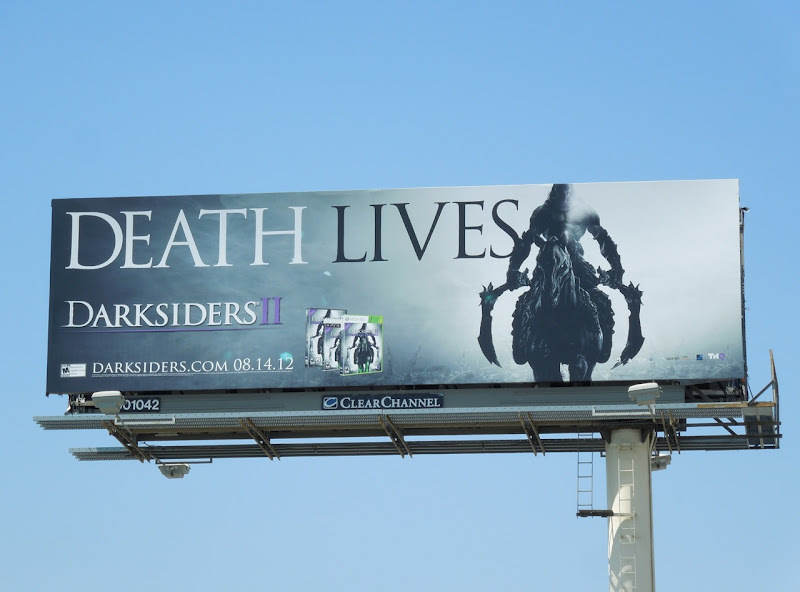 Here's a treat for all you gamers out there, a duo of billboards for the new Darksiders II video game released today. 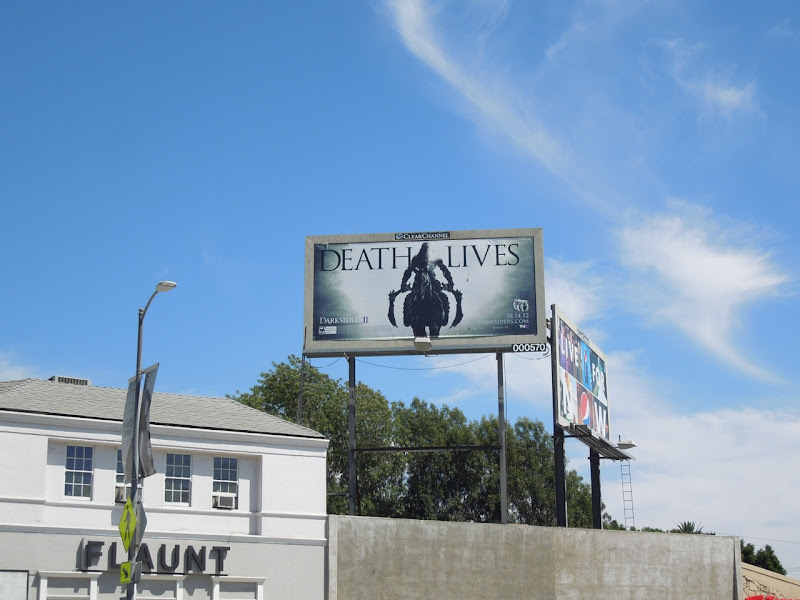 These fantastical 'Death Lives' creatives for the action-advernture role-playing game look pretty foreboding and certainly catch your eyes in the skies of L.A. 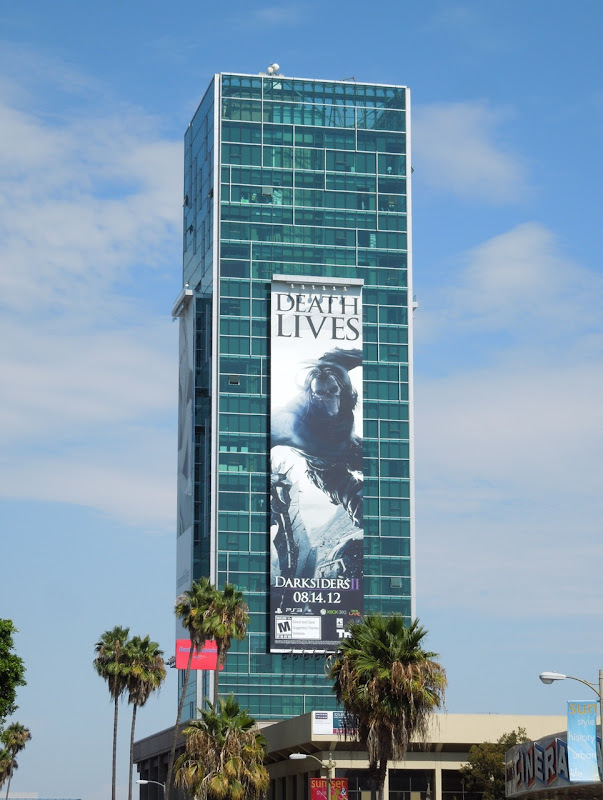 The giant-sized version was spied towering over Sunset & Vine on August 1, whilst the standard landscape creative was snapped looking rather ominous along La Brea Avenue at Santa Monica Boulevard on August 11, 2012. 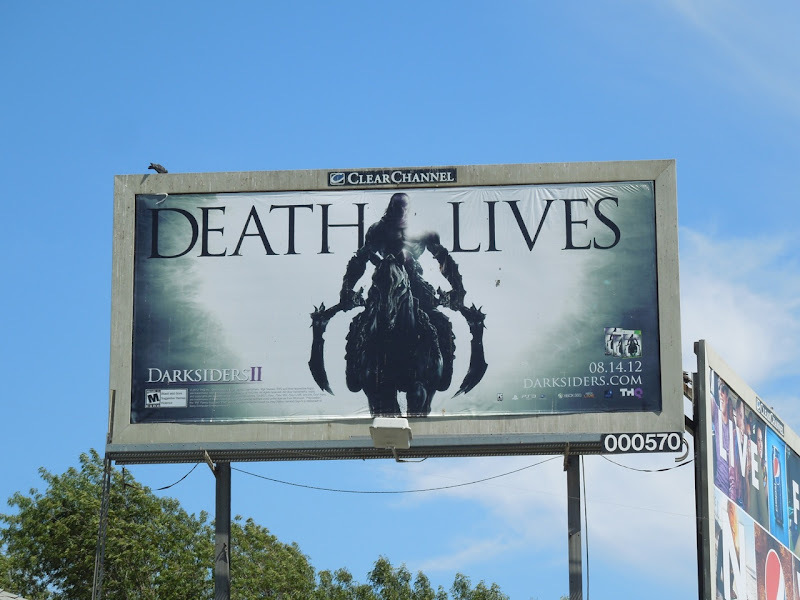 If you like these ads, be sure to check out these other video game billboards for Batman Arkham City, Call of Duty MW3, Rage, Homefront and more. 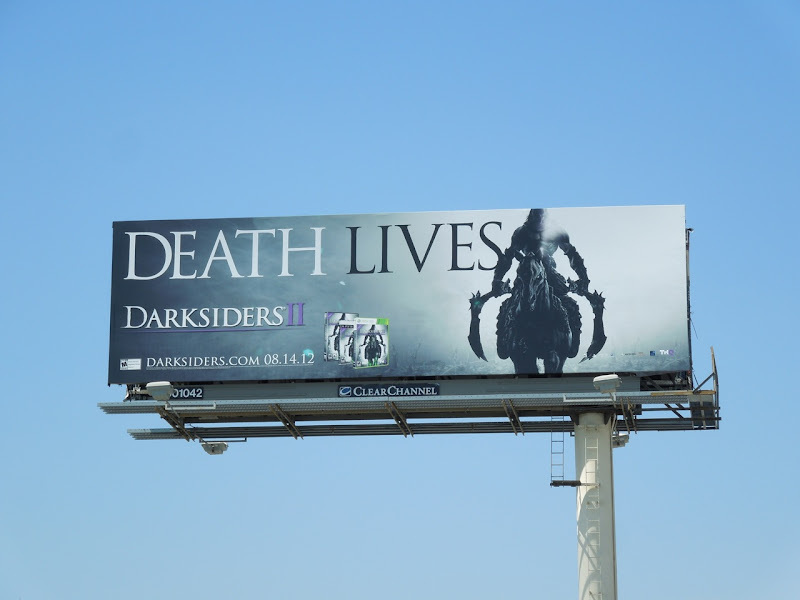 UPDATED: Here's a smaller creative featuring that cheery fellow 'Death'. 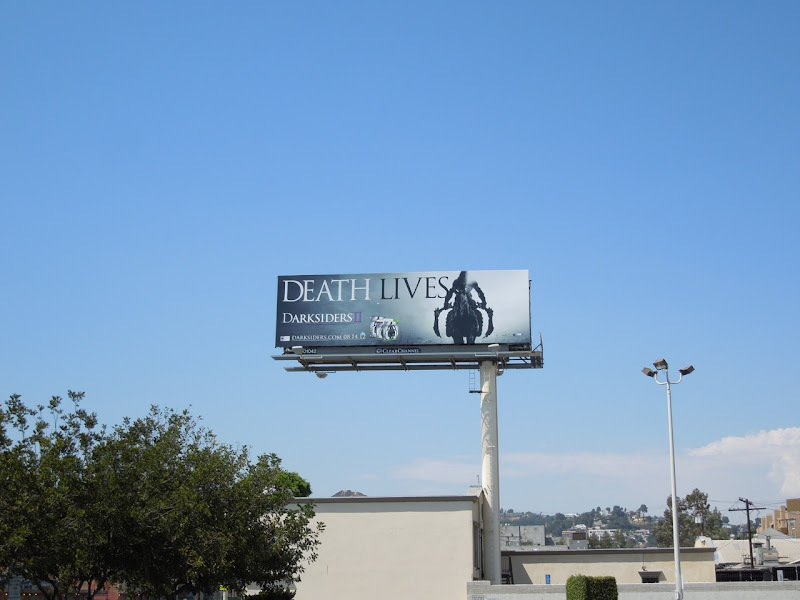 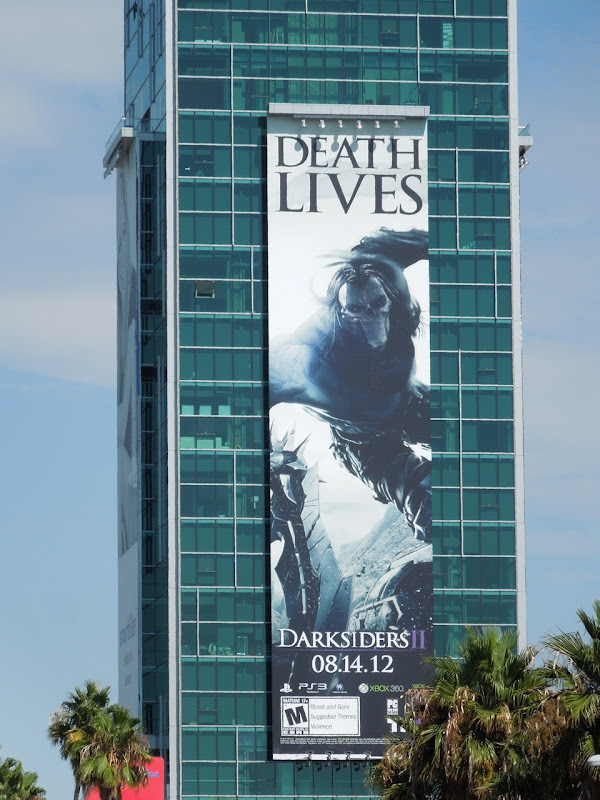 This Darksiders II billboard was spotted along Highland Avenue on August 15, 2012. 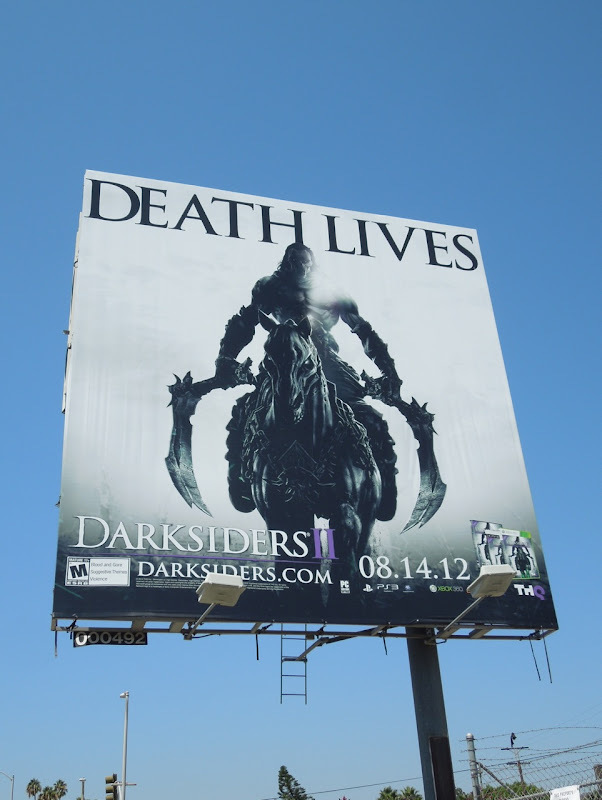 Plus this other squarer format was snapped along Fountain Avenue in Hollywood on August 20, 2012. 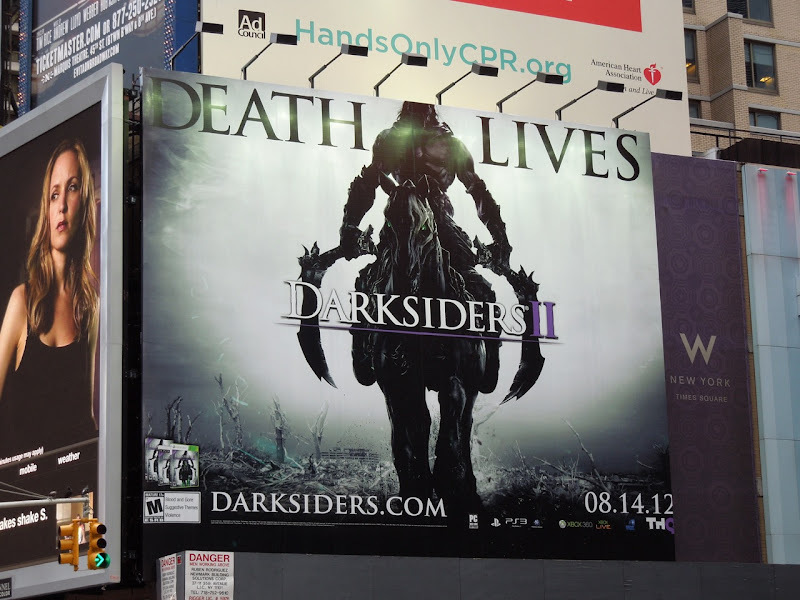 UPDATED: And just to prove that Death Lives everywhere, Daily Billboard also spied this version of the billboard in New York's Times Square on August 27, 2012.